Judy arrived at a very busy pound and was up for euthanasia because she had a curable eye condition called cherry eye. Well, that all changed when Judy came to Canada and got her surgery! She is cured for life! Judy has shown us that she is great with other dogs, big or small. 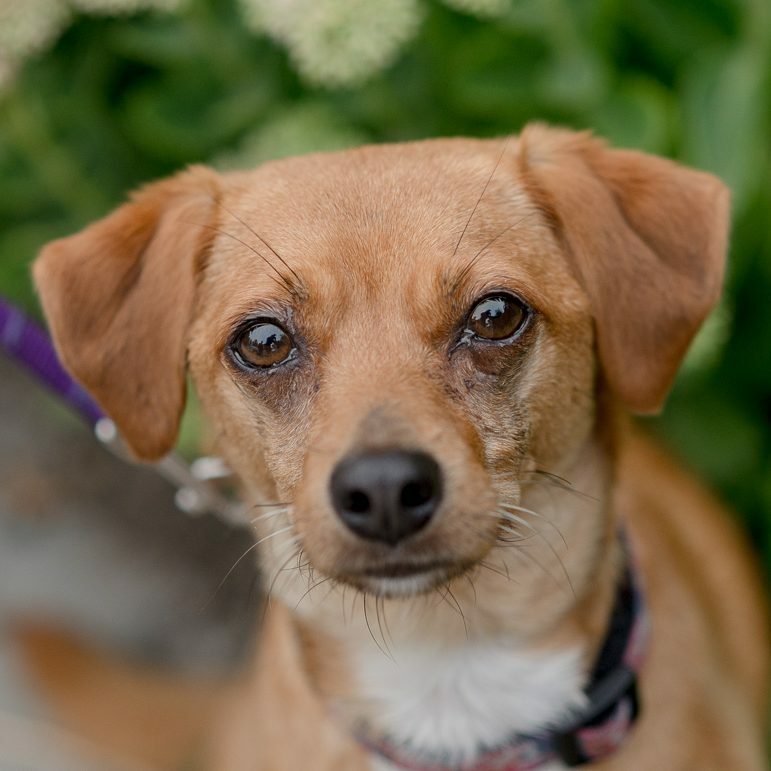 She is likely a chihuahua, beagle, pug mix and has a very keen nose outdoors. She has a prey drive and shocked us by hunting a mouse! Outdoors she’s all nose to the ground and play time, but indoors she’s a total cuddle bug. We think Judy is special and unique because of everything she’s gone through and just what a vivacious dog she is!